My work relies heavily on science and technology to explore the intersection of the seemingly-opposing paradigms of physical and virtual worlds, of fluid and solid, matter and information, and life and algorithm. The complex, intertwined relationships among these are clearly exposed when attempting to teach a digital computer how to recreate physical phenomena. Inherent to this task is the development of numerical methods which solve the equations of physics with a minimum of arithmetic while not allowing the ever-present minuscule errors from ruining the whole effort. If a specific method has been validated against real, physical phenomena, then is becomes a very useful tool for peering into the undetectable. The ephemeral can then be made timeless, the fluid solid, matter represented as information, and a physical moment exposed to virtual exploration. 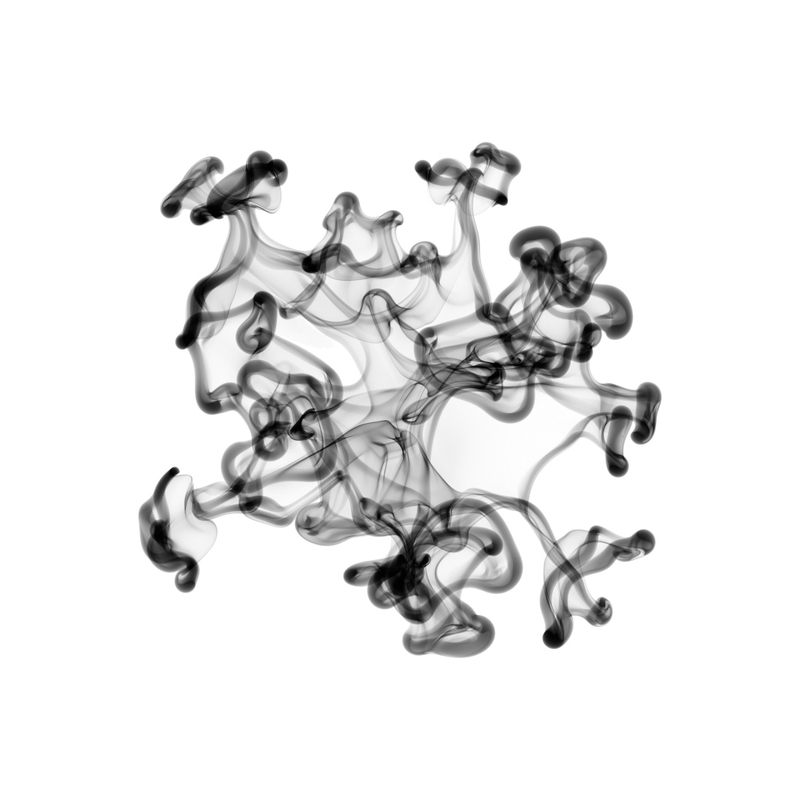 Chaotic Escape is a series of images of a specific fluid phenomenon called a Rayleigh-Taylor Instability. This arises when two fluids of differing densities find themselves separated vertically in a gravitational field, with the lower-density fluid beneath the higher-density fluid. In these computer simulations, a front-tracking vortex method of my own design is used to evolve an initially-spherical interface between two fluids under the influence of radial gravity. The fluid in the middle attempts to escape the burden of its enveloping matrix, and does so by exploiting tiny, random perturbations along the interface, giving rise to large-scale motions (much like the numerical error we seek to control), which then dominate the evolution of the system. 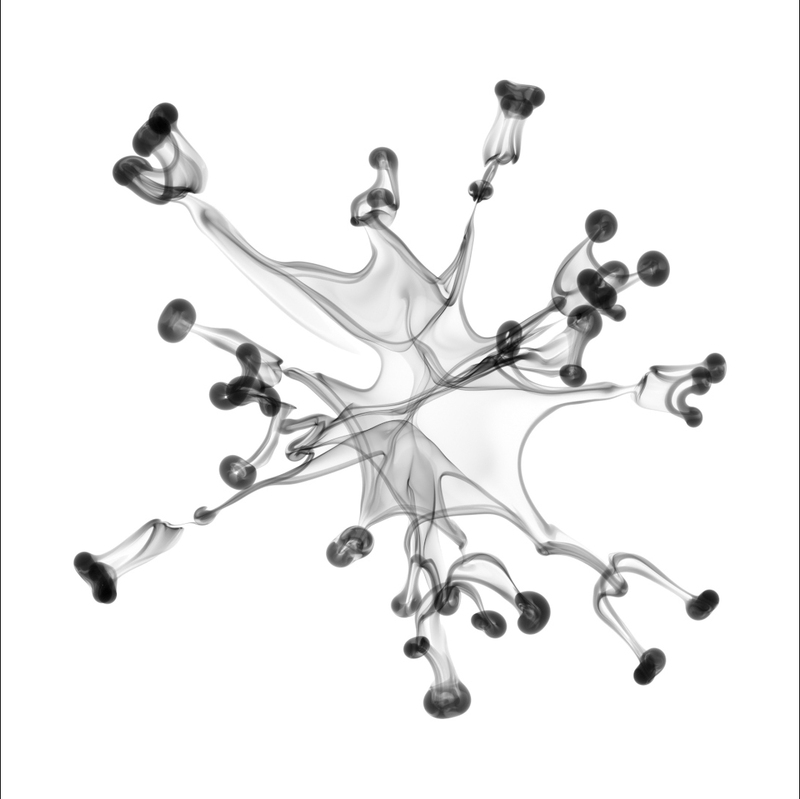 Changing the simulation’s initial parameters generates the family of delicate forms seen in this series. Citation: M. Stock (2006). A Regularized Inviscid Vortex Sheet Method for Three Dimensional Flows With Density Interfaces (dissertation). University of Michigan, Ann Arbor. Media Used: All custom software and computational methods from my own research.